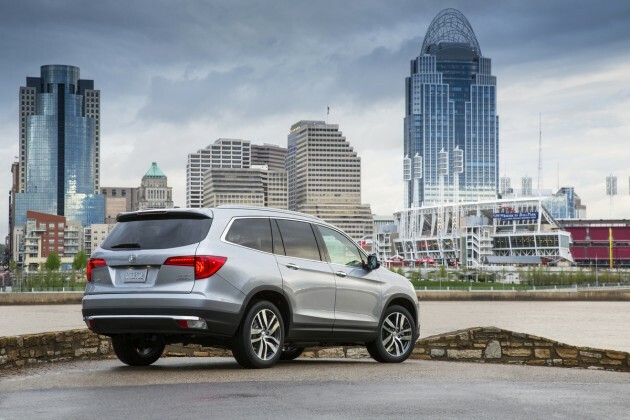 The fully-redesigned 2016 Honda Pilot is now in dealerships, carrying with it a starting manufacturer’s suggested retail price of $29,995, not including the $880 destination charge. The newest model of the third-generation Pilot offers a lot of changes, including a new and improved powertrain and fresh safety and technology features. 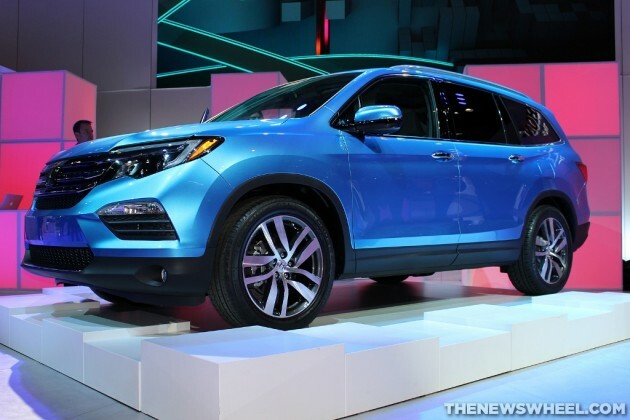 What’s New for the 2016 Honda Pilot? 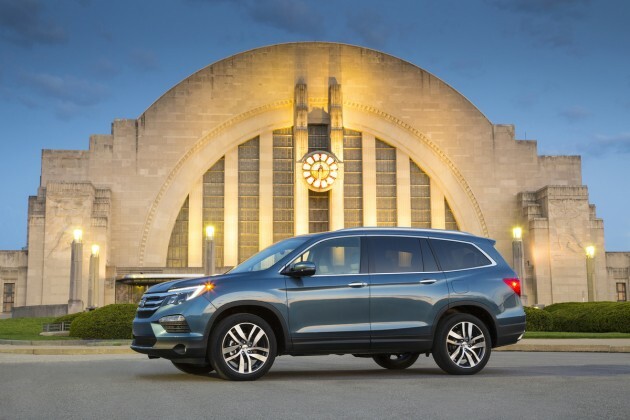 The 2016 Honda Pilot features a more powerful and efficient 3.5-liter i-VTEC engine, an upgraded suite of Honda Sensing safety and driver-assistive technologies, more USB outlets, and more premium features, including the new top-of-the-line “Elite” grade, which is priced at $46,420. The 2016 Honda Pilot is available in five different trims: the Pilot LX, Pilot EX, Pilot EX-L, Pilot Touring, and the all-new Pilot Elite. All trims are offered with either 2WD or AWD, except the Pilot Elite, which is equipped with standard AWD. 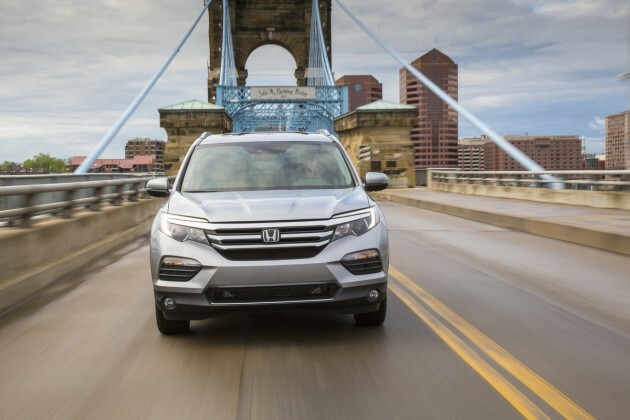 Fully redesigned by Honda R&D in Los Angeles and Ohio, the 2016 Pilot boasts a sleeker, more CR-V-like exterior than the rather boxy 2015 model. Utilizing the next generation of Honda’s Advanced Compatibility Engineering (ACE) body structure, the 2016 Pilot also aims to improve upon the crashworthiness of the previous edition. Rear privacy glass, Intermittent rear window wiper/washer, Multi-reflector halogen headlights with auto-off, LED brak lights, Integrated glass antennae, Security system. The 2016 Honda Pilot’s 280-horsepower, directed-injected 3.5-liter i-VTEC V6 engine improves upon the previous powertrain by adding 30 ponies and yielding a segment-best EPA combined fuel economy rating of 23 mpg for the 2WD model equipped with a nine-speed automatic transmission. 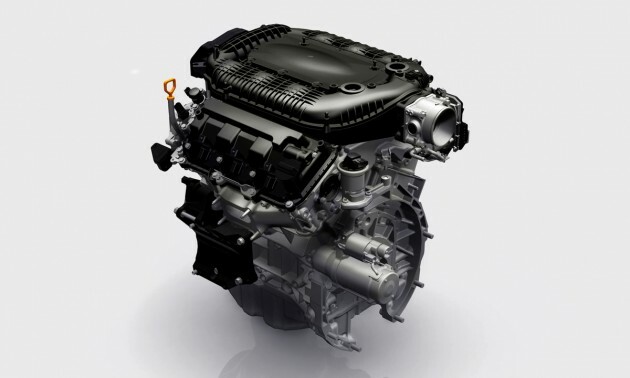 The new V6 can be mated to either a six- or nine-speed automatic transmission, as well as an all-new available intelligent variable torque management (i-VTM4) AWD system, with Intelligent Traction Management and torque vectoring capability. When equipped with the new system, it’s the most powerful Pilot that Honda’s ever offered. A 2016 Pilot with 2WD has a fuel economy slash line of 19/27/22 mpg in city, highway, and combined traffic (except for the 2WD Touring trim, which improves to 20/27/23 mpg). For AWD models, those numbers dip to 18/26/21 mpg (19/26/22 mpg for Touring and Elite AWD models). The 2016 Pilot’s fuel economy ratings have improved by as much as 2/2/2 mpg over the 2015 model, solidifying its position as the most fuel-efficient mid-size SUV on the market. Inside, the three-row 2016 Honda Pilot seats eight passengers a bit more comfortably than the 2015 model, with an added inch of tandem seating distance and a 1.3-inch longer cargo area. For maximum connectivity, the Pilot now offers up to four 2.5-amp USB outlets to accommodate a modern family’s array of digital devices. There’s also a host of other standard and optional interior features available. The 2016 Honda Pilot has not yet undergone IIHS or NHTSA crash testing, but Honda anticipates high safety ratings from both institutions. The new Pilot also offers the most comprehensive suite of Honda Sensing advanced safety and driver-assistive technologies ever before made available on a Honda vehicle, including two Honda-first technologies: Road Departure Mitigation (RDM) system and Rear Cross Traffic Monitor.